Interior design and trends change over time, but the desire to create a comfortable, relaxing and lovely design for your home is always there. Whether you choose a traditional design or something more contemporary, components of the design such as furniture, lighting and flooring need to complement each other. Having settled upon your design, you don’t want it compromised by an unsightly pet door. Pet-Tek manufacturers of high quality pet doors offer discreet pet doors to suit the needs of the modern home owner, specifically pet doors for glass applications. The simple understated design combined with the robust high impact polycarbonate framework make the Pet-Tek glass fitting pet doors ideal for today’s home owning pet lover. Popular pet door models include the G-SDD Maxi Dual Glaze Glass Fitting Cat Door and the G-DD Glass Fitting Dog Door. 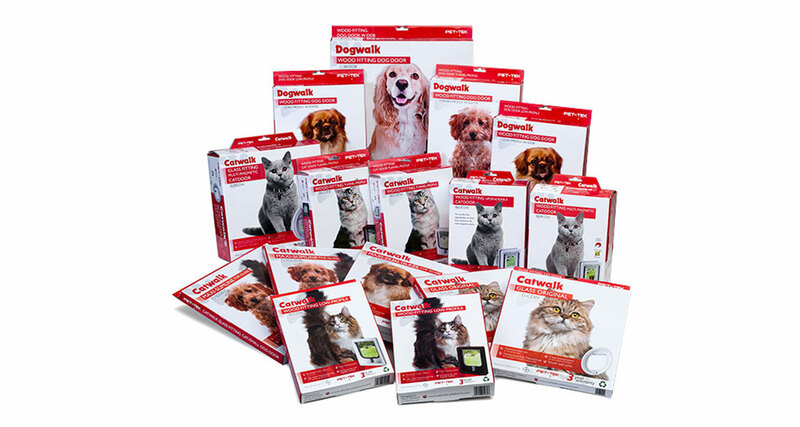 Both ranges are available in clear or white options, are easy to fit, feature a four-way locking system, have a smooth quiet action, and larger flap openings meaning they are more comfortable for your pets. 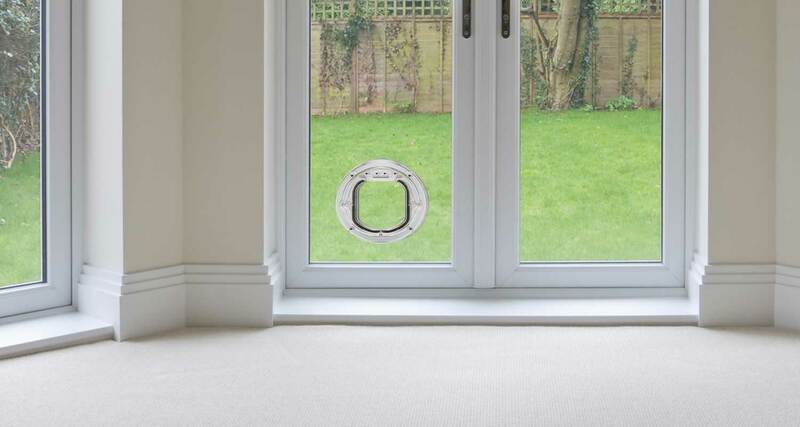 Glass Fitting Medium Sized Dog Door – This medium sized glass fitting dog door is ideal for fitting in single glazed, double glazed and will even work in most sliding doors! The generous flap size is supplied with a self closing flap that is held in place by magnets and a weather seal. Glass Fitting Maxi Dual Glaze Pet Door – This maxi dual glaze pet door is ideal for fitting in double glazed windows and doors. The pet flap is suitable for large cats and small dogs. It features a generous flap size, weather seal and is 4 way locking with an additional security pin. Glass Fitting Maxi Slimline Pet Flap – This glass fitting maxi slimline pet flap is ideal for use in sliding windows and doors. This pet flap is suitable for large cats and small dogs. It features a generous flap size, weather seal and is 4 way locking with an additional security pin. Glass Fitting Multi Magnetic Cat Flap – This glass fitting multi magnetic medium sized cat flap is ideal for fitting in double glazed windows and doors. The multi magnetic system eliminates the need for costly battery replacement whilst preventing stray cats from entering your home. Steven King, Owner of Pet-Tek, comments, “Our range of high quality pet doors is growing increasingly popular with pet owners, glaziers, architects, interior designers, self-builders and other door professionals. For the models that fit onto glass doors such as the G-SDD and G-DD, not only do they look great with their unobtrusive, slim line frames, but they are easier, quicker and more cost-effective to fit than traditional doors as they can be fitted to round cut-outs rather than more time consuming square cut-outs.